Cell Tower | Precision Utilities Group, Inc. Precision Utilities Group offers a wide range of services for the wireless telecommunications market. AAV – Includes services such as hand trenching, burying pvc conduit, running sealtite, H-frame construction, powering equipment, power and fiber optic testing, terminating cable, grounding. Civil – Includes services such as running rigid conduit, sealtite, terminating cable, installing breakers, mounting pull boxes, H-Frame construction, bay placement, grounding, placing cabinets. 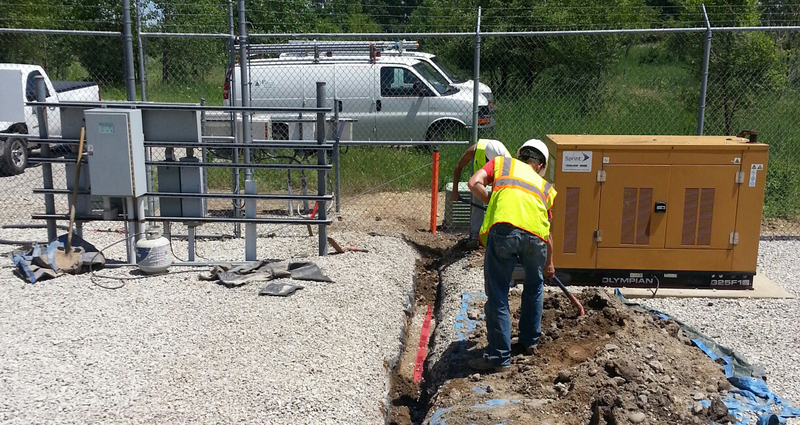 Directional Boring – buried conduit, placing hand holes. Equipment Installation – Includes mounting equipment, terminating cables, power and fiber optic testing, grounding, upgrading software, provisioning, test and turn up. At the Precision Utilities Group main office, our wireless division is supported by a complete staff of coordinators, assistance, dispatchers, project managers, inventory control specialists, and lead support staff. This staff is devoted solely to making sure our customer has everything they need. Depending on the volume of work, our crews will travel where ever you are in need of assistance!